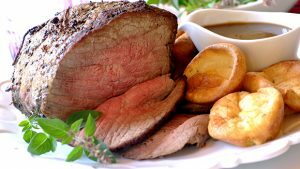 Join us Sunday lunch – from £12 per person. (2 courses £16, 3 courses £20). Please choose from the menu below – enter the number of each option that you would like for your party and then formally register for the event by clicking on the “Place Order” button.